Fall is here, and pumpkin season is right around the corner. Flannels, pumpkin spice lattes, and pumpkin patches are always a must when the weather starts to cool. But how do you make your fresh pumpkin last all the way through October? 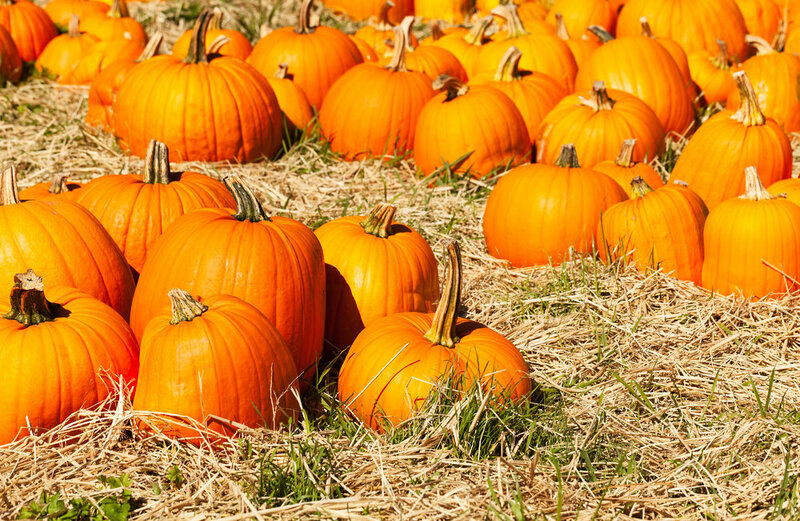 Instead of purchasing your pumpkin from your closest grocery store, buy from the local pumpkin patch instead. Pumpkins sold at many grocery stores are often bruised from being shipped across the country, which can cause your gourd to rot sooner. 2. Don’t carve your pumpkin. This is definitely one of the best ways to keep your pumpkin fresh longer. Instead of carving a jack-o’-lantern, try decorating your pumpkin with glitter, paint, or other craft supplies. Not the best artist? Personalize your design with pumpkin painting stencils to give your pumpkin a trendy look. 3. Clean your pumpkin with bleach. If you’re set on carving your pumpkin, first make sure you completely clean out all of the innards. (Pro Tip: Save the seeds and roast them for a healthy snack). Once your pumpkin has been cleaned out, mix 2 tablespoons of bleach with 1 quart of water. Heavily spray the solution all over the inside and outside of the pumpkin. The bleach will kill bacteria and prevent the pumpkin from molding quickly. After the pumpkin has been cleaned with the bleach solution, let it dry completely before you begin carving. If it’s still wet when you put it outside, the moisture can make the pumpkin moldy. 4. Use a DIY peppermint pumpkin spray. Peppermint has antifungal properties, which can help keep your pumpkin from molding. Mix together 12 ounces of water with 10 drops of peppermint oil. Spray your pumpkin at least once each week, especially around the carved edges. 5. Store in a dry, shaded area. Heat from the sun can cause pumpkins to decompose faster. To slow the down the decaying process, it’s important to store your pumpkin in a dry, covered area to keep it out of the sun and rain. Moisture combined with heat can create mold and mush, which no one wants in their festive fall decor! 6. Don’t remove the stem. While your first thought might be to cut a hole out of the top of your pumpkin to carve it, this is definitely one of the worst things you can do to extend the life of your pumpkin. Instead, cut an opening in the back or the bottom. Pumpkins stay fresh much longer if the stem says intact so that moisture can’t collect on the bottom.